Lisa founded Whole Body Fitness in 1999 to provide top-caliber personal training services to clients of all ages and fitness levels. Lisa develops progressive workouts that changes every 4-6 weeks to keep things interesting. She tracks client’s performance and gains at each workout. Her goal is to educate, motivate and support her clients to become more physically active and to adopt a healthier lifestyle through exercise and nutrition. Lisa is always excited to work with new individuals and enjoys many relationships with long-time clients. Lisa’s specialty is medical fitness. Medical Fitness professionals help make the transition from medical management and/or physical therapy to a regular physical activity program following a surgery, an injury, a medical diagnosis or exacerbation of a pre-existing condition. They are educated and skilled to work with medical conditions/special needs including those with arthritis, diabetes, neuromuscular disorders, heart disease, lung disease, osteoporosis, orthopedic injury, cancer, Alzheimer’s, stroke, Parkinson’s, MS, and mental disorders. In 2015, Lisa was a finalist for the 2016 Trainer of the Year for Personal Fitness Professional (PFP) Magazine. She is the PFP Trainer of the Month for January 2016, which puts her in the running for the 2017 Trainer of the Year. 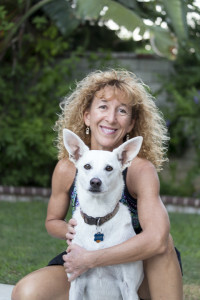 Lisa is both a Certified Personal Trainer and Health Coach through the American Council on Exercises in 1999. An ACE Health Coach emphasizes fitness, nutrition and the science behind true behavior modification. As the only NCCA-accredited certification of its kind, ACE Health Coach helps professionals connect with people in a way that makes them not only want to change, but believe they can do it long term.The American Council on Exercise (www.acefitness.org) is the largest nonprofit fitness certification and education provider in the world. Widely recognized as “America’s Authority on Fitness,” ACE continually sets standards and protects the public against unqualified fitness professionals and unsafe or ineffective fitness products, programs and trends.